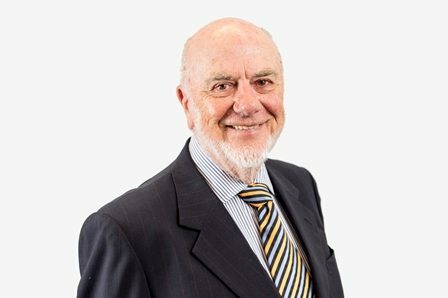 Hi, my name is Bill and I have been advising clients in the financial services and insurance industries since the 1960’s. I established Quantum Financial in 1994 and our successful team is located in Chatswood. We are fiercely independent. As we have never had any ties to any product providers, our advice has always been in the best interests of our clients. We are a family business – let our family look after yours. Having earned their experience and education outside of the business, I now mentor the second generation of Quantum Financial’s management. We are investment specialists. Due to our stringent due diligence and our Investing Insight, since 1994 we have never advised a client into a single investment that has been frozen or fallen over. I no longer take on new clients and service only a select few long standing and incredibly loyal clients. With more than 45 years experience in the finance, banking and insurance, I provide mentoring advice and guidance to the next generation of Quantum Financial’s leadership team. I made it a condition to both my son Tim and my daughter Claire that they had to ‘earn their stripes’ professionally before I would even consider letting them step foot in the business. They each had to earn their professional qualifications (accounting, tax, legal, finance, etc) and gain finance experience (eg Deutsche Bank, Macquarie Bank, UBS, PwC). Once they had earned that experience and knowledge I let them join Quantum Financial. Today I provide counsel to them on investing matters and strategic business decisions. This gives our clients the best mix of long term, aged experience and the drive and professionalism of the next generation. You have peace of mind from knowing that Quantum Financial will be here to serve your family for decades to come. I hold a Bachelors Degree in Commerce (University of NSW), a Masters Degree in Economics (University of Sydney), am a Certified Financial Planner™and hold a Bachelor of Theology (Rome). I have been a Justice of the Peace for over 50 years. As a long standing member of the financial planning profession, I was incredibly proud when I was recognised as a Fellow of the Financial Planning Association of Australia (FPA).